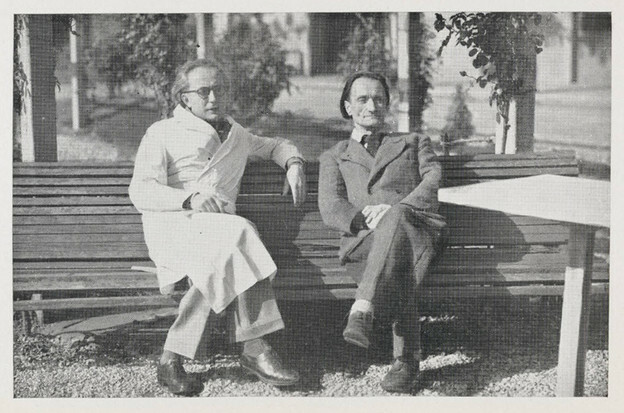 By the time 1945 rolled around, nearly two years after his work with Father Julien, Artaud had insinuated himself as the original author of Through the Looking Glass, insisting that while he was at Rodez he had written a book titled Letura k’Ephrai Falli Tetar Fendi Photia o Fotre Indi, which was lost, but which Carroll had somehow acquired and copied when writing Through the Looking Glass. In Artaud’s own words, he insisted: “‘Jabberwocky’ is nothing but a sugar-coated and lifeless plagiarism of a work written by me, which has been spirited away so successfully that I myself hardly know what is in it.” Artaud made Carroll a target by claiming himself as the source. This assertion calls to mind the concept of backformation in linguistics, where we create new words by subtracting what seemed to be a simple prefix or suffix. This subtraction leaves us with a word we didn’t have before, a word that is usually a different part of speech than its progenitor. The OED lists the first instance of this phenomenon, called “backformation,” in reference to the verb “to burgle,” which was formed by cutting off the end of “burglar.” Appropriately, “to translate” is a backformation of “translation;” the noun existed before the verb. So while Artaud took great liberties in translating Carroll’s text, he claimed that he was restoring his original authorship. In Artaud’s mind, his translation with Father Julien was merely an act of stripping Carroll’s poor imitation back to its powerful origins, but he was creating a false root — a backformation translation. The translated text which was eventually published in the journal Arbalète in 1947 under the title L’Arve et l’aume: a tentative anti-grammar apposite Lewis Carroll and against him contained considerable additions to the 1943 collaboration with Father Julien. The 1989 reissue of the text includes those final iterations along with many of the hand-corrections Artaud sent to his editor, Marc Barbezat, and correspondence between the two about the translation. This makes it fairly easy to analyze the changes Artaud made to the text after his initial sessions with Father Julien ended. Alexandra Lukes, in her insightful essay, “The Asylum of Nonsense: Antonin Artaud’s Translation of Lewis Carroll,” suggests that L’arve et l’aume is “is far from what might be conventionally called a translation.” L’arve et l’aume is an excellent example, in fact, of what Tim Atkins calls, “poetic translation […] the practice of using source texts as a springboard from which to write.” In addition, it’s an important turning point in Artaud’s artistic practice because, as Lukes points out, his “syllabic clusters (which have typically been studied in the context of glossolalia — the age-old tradition of speaking in tongues) make their first appearance in Artaud’s work during his confinement to the asylum of Rodez (1943–46), and most importantly when he was given a text by Lewis Carroll to translate.” In his translation we see the seeds for one of the hallmarks of Artaud’s late phase of writing: nonsense words, or glossolalia. Artaud became increasingly hostile toward Carroll’s work for a number of reasons. Artaud’s claim that Carroll had plagiarism him was one contention, but simultaneously Artaud had issues with the quality of Carroll’s writing. Artaud thought Carroll’s nonsense was too tame. Anne Tomiche points out that after the first translation of Carroll’s text with Father Julien, Artaud mentioned wanting to delete the glossolalia he had created because it veered too much from the spirit of Carroll’s text. By 1947, however, Artaud was insisting that his glossolalia remain. The section of chapter six where the poem “Jabberwocky” is introduced illustrates Artaud’s thoughts about the weak nature of Carroll’s text. In the Carroll original, the poem is introduced when Alice and Humpty Dumpty have been discussing the meaning of words. She says, “You seem very clever at explaining words, Sir […] Would you kindly tell me the meaning of the poem called ‘Jabberwocky?’” She goes on to recite the poem and Humpty Dumpty unpacks many of its portmanteau words. Lewis Carroll is the first person to use the word “portmanteau” in a linguistic sense, to refer to a single word made from the sounds of two separate words, like “chillax.” For example, Humpty Dumpty decodes “slithy” as “‘lithe and slimy.’” He continues, “‘Lithe’ is the same as ‘active.’ You see it’s like a portmanteau — there are two meanings packed into one word.” While this Carroll’s text introduces new words and constructs a language game, the game doesn’t go far enough for Artaud. In Artaud’s version, after a similar introduction to the poem (albeit much longer because Artaud’s title is much longer, which you’ll see in a moment,) Alice doesn’t immediately recite the poem. Instead, after Alice asks Dodu Mafflu (this is Humpty Dumpty’s translated name) to explain the poem. When she voices Artaud’s title, which is a long grid of nonsense words, Dodu Mafflu breaks in, responding to her request to explain the poem by saying, “If you make up your mind to choose a title. […] And anyway, as far as inventing words goes, they have to at least relate in some way to something. These don’t relate to anything.”  In Artaud’s version, Alice widens the range of acceptable nonsense by defending linguistic indeterminacy, arguing that she thinks the succession of title words correspond to lots of things. By overwriting Carroll’s text with veritable nonsense, Artaud is inserting his own theory of neologisms. Artaud has spent most of his life trying to escape the strictures of reality as we understand it — reaching for an expression that is beyond language. Carroll’s text was the springboard for creating new words that pointed nowhere and everywhere at once, but Carroll’s work didn’t go far enough because most of the nonsense still had a correspondence to the real. By metastasizing the title, Artaud inserts an inscrutable system into the French language system. It’s as if Artaud’s translation empties the realism out of Carroll’s magical realism. What we’re left with is magic. This is a crucial pivot in Artaud’s career as an artist. Whereas many critics would describe Artaud’s life and works as a string of failures, Naomi Greene, in “Antonin Artaud: Metaphysical Revolutionary,” points out that all of Artaud’s pursuits have a central aim: he “believed that any writer who used language traditionally could not reveal metaphysical truths to man, for ordinary language obscured the spiritual realities of the universe.” Greene borrows Camus’s distinction between metaphysical and political revolutionaries, saying, “A metaphysical revolutionary rebels against the limitations placed upon him by the very nature of human existence, against the laws governing life and death. Unlike a political revolutionary, involved with the problems of society, he concerns himself with only the most universal and unchanging aspects of human life.” Seen through this lens, while Artaud often changed the mode of his artistic expression, his central driving force never wavered: metaphysical revolution was at his core. The concept of seeing the multitude of his artistic endeavors as one long work coincides with the Surrealistic way of thinking; all the writing is a part of the same book. Greene argues that Artaud was first a part of the Surrealist movement, but that movement wanted something more Marxist, more material, in terms of revolution. After a necessary break from the materialist leanings there, Artaud turned to the theater in order to create a new language and push past the page and poetry. When that didn’t go far enough, he took his body to Mexico and Ireland, bringing the theatrical practice into the streets and towns — then, after his asylum stays he turned again to the body, arguing that an evacuation of the organs and a vanquishing of the base instincts in the body would create the metaphysical shift so dearly needed by society. His final phase evacuates language from itself in the same way he wanted to evacuate organs from the body. Michel Pierssens, a French professor at the University of Québec, Montréal, supports Greene’s argument that we can see success rather than a suite of failures if we see Artaud’s entire oeuvre as a single impulse or drive. Pierssens posits that the shortcomings Artaud identifies in western theater are identical to Artaud’s own well-documented and lifelong struggles with language and expression. He paints the picture of a man who chases the same concepts continually throughout his life. “What changes,” Pierssens asserts, “is the system that Artaud creates in order to understand himself, the discursive and conceptual methods he summons to give his concepts analytic expression.” What doesn’t change? Pierssens says that “all of his effort during the time of The Theater and Its Double, then at the Rodez asylum and after, was precisely to deny the fate of linguistic determinacy and to try and justify the cry, the rhythm, the glossolalia, and to present them as another way of making sense.” Artaud says, after all, that “all that I’m doing here [at Rodez] is nothing more than the prolongation and extension of my idea of the Theater of Cruelty in reality.” If we imagine all of Artaud’s artistic endeavors within a single trajectory, his glossolalia becomes a crucial moment when he successfully breaks free of the strictures of language and expression. In Saussure’s estimation, then, one can’t look at solely the sound or simply the sense, or, for that matter, only a few instances (words) in a language system. We can’t, Saussure goes on to say, describe a language by first examining a single word, then adding another, then adding another to our analysis. We must begin with the entire system itself and move backward to its constituent parts. Yet Artaud insists we have the ability to pick and choose where we begin: in the footnote for his spectacular “Jabberwocky” grid, he invites us to begin with any combination of his nonce words if the whole system doesn’t suit our liking. A natural language can be described as a system of subsystems: at every level, a relevant unit is defined by its place in the system. But at each level there is a borderline between the system and what it excludes. The paradox of language is that first, the term is used to designate both the system and what lies outside it and, second, that this is not a terminological mistake, to be remedied by the invention of a new name for what lies outside the system, but a necessary situation, for the two sides of language (the systematic and the subversive) are inseparable. The reverse side of language is the subversive opposite of the ‘normal’ side, and as such hardly distinguishable from it. On the bright side, meaning is constructed by differentiation and composition, and the totality, and the closed character of the system, guarantee its correct construction. On the dark side, meaning proliferates, in short threads that can hardly manage to weave a coherent text: there is no totality, no guarantee, and the field is never closed. Language has both a bright and a dark side to it. If we accept Lecercle’s position that the two sides of the paper represent grammaticality and ungrammaticality, sense and nonsense, then Artaud’s great achievement here can be visualized: by inserting glossolalia alongside grammatical formations of French, Artaud was trying to bend the paper so the two sides could touch. He created a möbius strip out of language. 1. Henri Julien qtd. Alexandra Lukes, “The Asylum of Nonsense: Antonin Artaud’s Translation of Lewis Carroll,” The Romantic Review 104, nos. 1–2, 112. Translation mine. Original text: “Lors de ces visites, il m'écoutait lire un texte et le traduire. Il reprenait la traduction, suggérant tel mot, telle tournure. C'est dans la lecture de la traduction obtenue qu'on sentait une âme de feu, un grand acteur …"
2. Antonin Artaud, “To Henri Parisot September 22, 1945,” Antonin Artaud Selected Writings, Ed. Susan Sontag, Tr. Helen Weaver (New York: Farrar, Strauss, Giroux 1976), 451. 4. Lukes, “The Asylum of Nonsense,” 106. 5. Tim Atkins, “Seven Types of Translation: Petrarch's Canzoniere” (PhD Dissertation, University of Roehampton, 2011), 2. 6. Lukes, “The Asylum of Nonsense,” 106. 7. Lewis Carroll, Through the Looking Glass, np. 9. Ibid., 23. Translation mine. Original text: “Si tout cela ne plaît pas on peut choisir comme titre une seule de ces phrases, par exemple MOMAR UNI ou GONPAR ARAK ALAK ELI, qui veut dire: as-tu compris? 10. Anne Tomiche, “Traduction, Transformation, Appropriation: Antonin Artaud Face à Lewis Carroll,” Frontières et Passages: les échanges culturels et littèraire (Rouen: Presses universitaires de Rouen et du Havre, 1998), 36. 11. Naomi Greene, “Antonin Artaud: Metaphysical Revolutionary,” Yale French Studies, no. 39, Literature and Revolution (1967), 191. 15. Antonin Artaud quoted in Jean-Paul Jacot, “Jonction, disjonction: les fragments glossolaliques d’Artaud,” Littérature, no. 103 (Oct 1996), 64. 16. Ferdinand de Saussure, Course in General Linguistics (Peru: Open Court, 1986), 111. 17. Jean-Jacques Lecercle, Philosophy Through the Looking Glass (La Salle: Open Court Paperbacks, 1985), 70. 19. Jean Baudrillard, “Forget Artaud,” The Conspiracy of Art, (Los Angeles: Semiotext(e), 2005), 220.